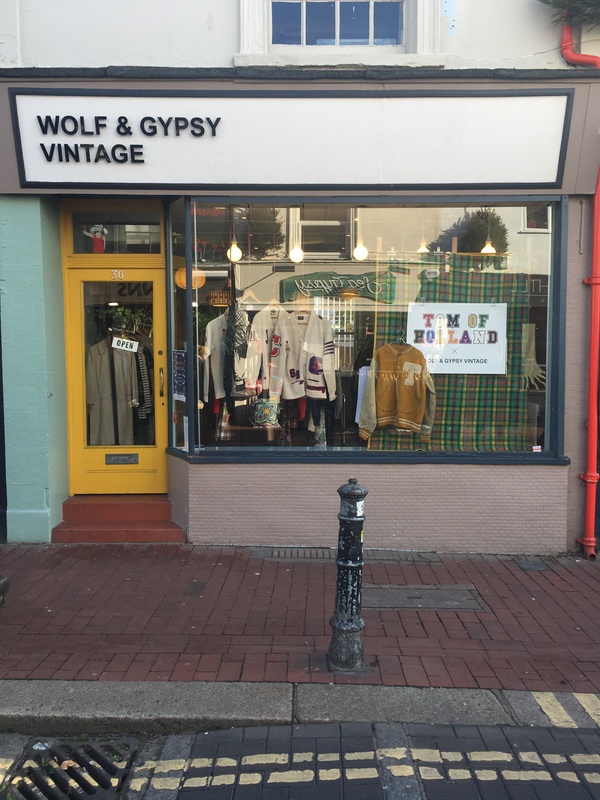 Wolf and Gypsy Vintage love to collaborate with local artists and specialists, so I’m proud to let you know that we have teamed up once more. We have collaborated in the past on a small collection of lovingly repaired indigo and workwear garments, aptly named “May All Your Dreams Be Indigo“. So, it felt natural to work together again. As repairing clothes as part of my Visible Mending Programme relies on having garments to repair, I always enjoy a good collaboration. Following the success of my first collaboration with Wolf & Gypsy, “May All Your Dreams Be Indigo,” in which I repaired a number of indigo workwear items, I was very excited when Laura asked me again. 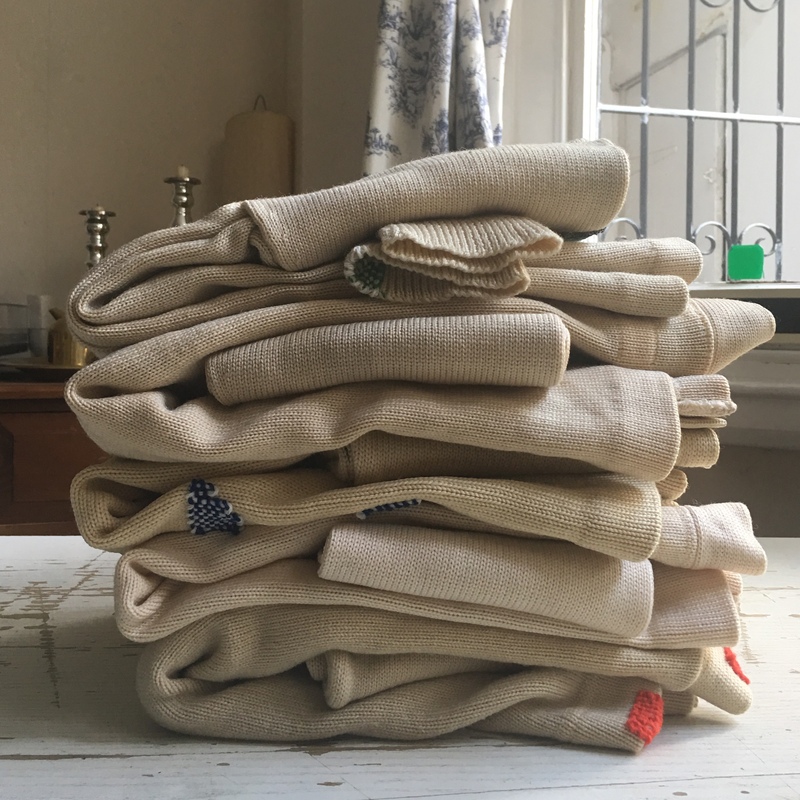 It think it’s a natural match, as buying second-hand clothes is one way of dealing with the issues of fast fashion. Working with a small business like Wolf & Gypsy allows me to exchange ideas with Laura directly, and we trust each other to come up with things that will work for both of us. When Laura sees pieces that, with a bit of love and care, could take centre-stage of a great outfit, then it’s an enjoyable challenge for me to make sure that can happen. 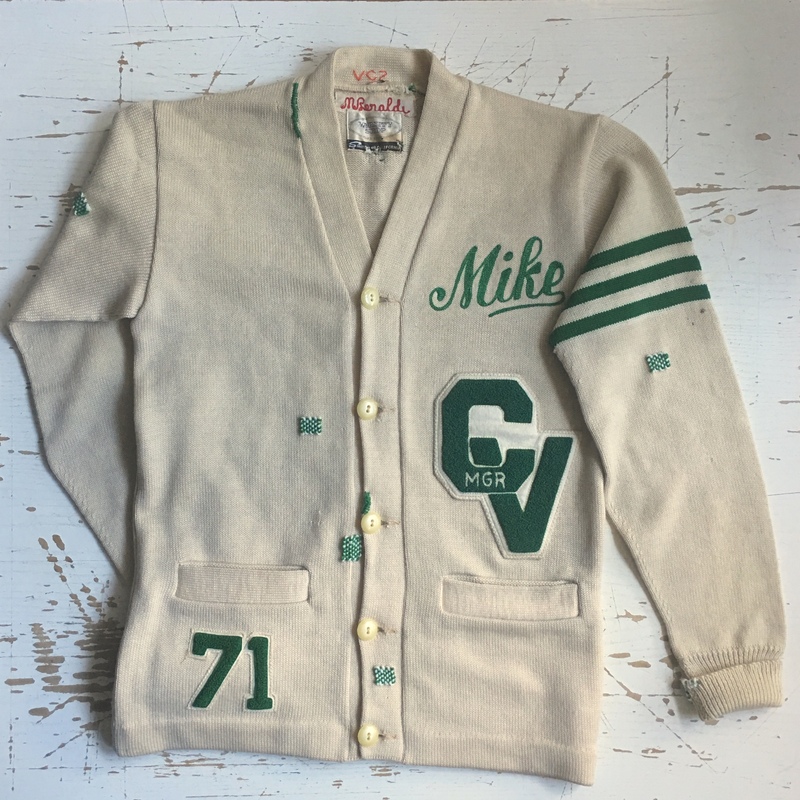 With these varsity cardigans I was struck by the appliqué patches. They are quite stiff and really sit on top of the cardigan fabric. I emulated that effect with the darning technique used. To keep a coherent look, I matched the colours of those patches, too. 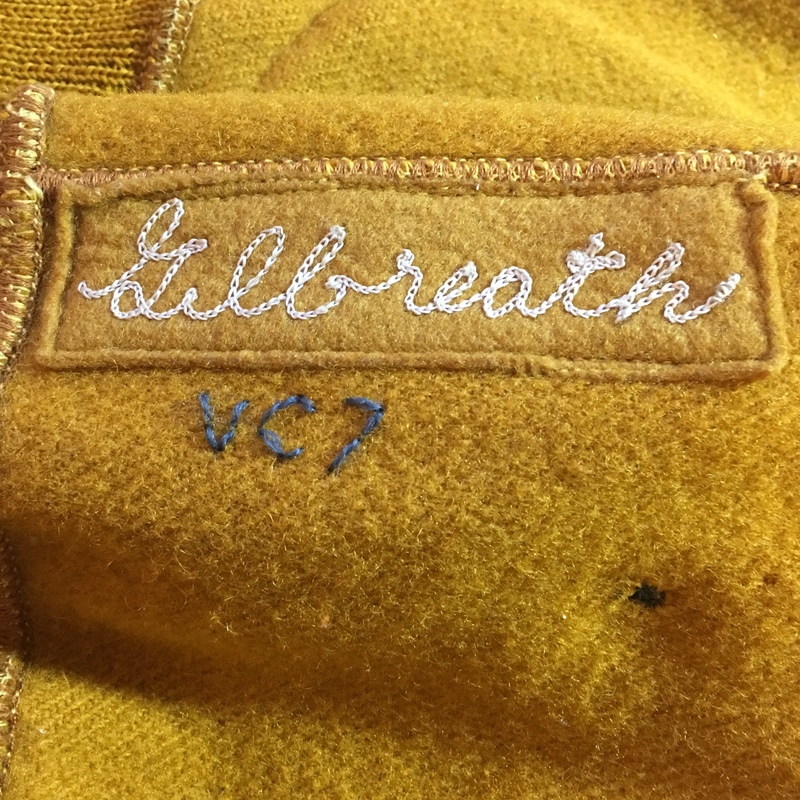 Each of the cardigans has its own serial number, which I keep track of in my Visible Mending Programme log book. 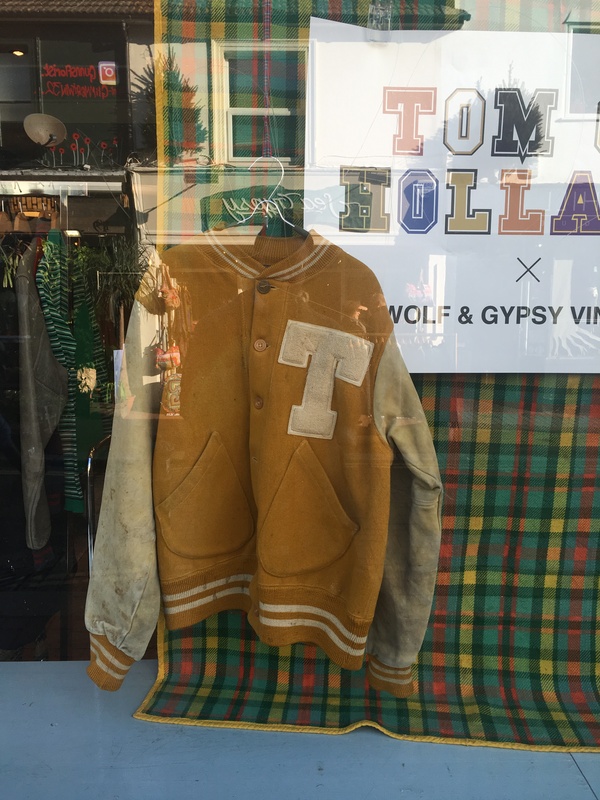 A very rare varsity jacket with a “T” – apologies for the reflections in the window! This limited range of visibly mended cardigans and jacket is exclusively available in-store at Wolf & Gypsy. Also keep an eye out for more TOMOFHOLLAND X Wolf & Gypsy news soon! 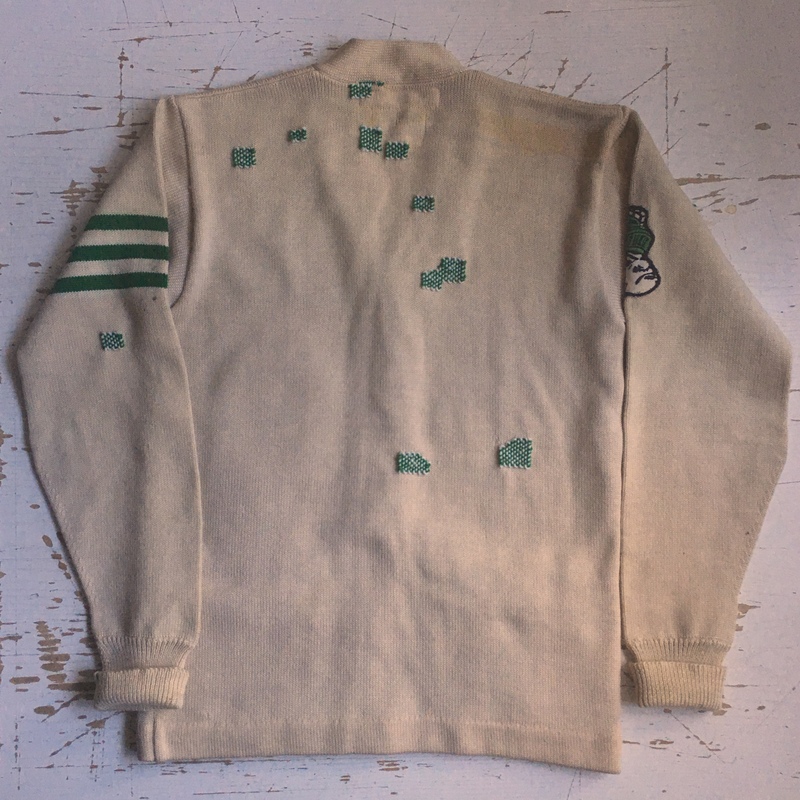 I love how you matched the color of the patches, I am going to be oh the hunt for my own varsity sweater in my thrift travels! Love what you do. I follow Zeitz MOCAA (Zeitz Museum of Contemporary Art Africa) on Instagram. Currently they have an exhibit called 21 years that I think you’d appreciate. I keep thinking of you every time they put up a post about what’s in the show. Look back through the posts for the Zulu umblaselo clothing done in your same spirit of creativity.